These rounds make great gifts for loved ones, for those just starting a silver bullion collection, or to introduce someone to silver money in general. They are also great to use as golf ball markers or even ‘all in’ playing chips for any no limit poker players out there. In a dire situation, this small silver round could be used as an emergency currency of sorts. It could be sold for quick cash even if the banks decide to have a holiday. If the situation is really bad, these ¼ oz silver rounds could be used in trade directly for goods or services as these rounds contain all the essential information required stamped upon them (weight in troy ounces, purity, and precious metal metal content). Their small size (0.25 ounces) means you have a finer control over how much silver you want to sell or use in exchange. Other fractional silver rounds can also serve these same purposes. Silver round manufactured in the USA. Round weighs 0.25 troy ounces. The round consists of .999 or 99.9% pure silver. 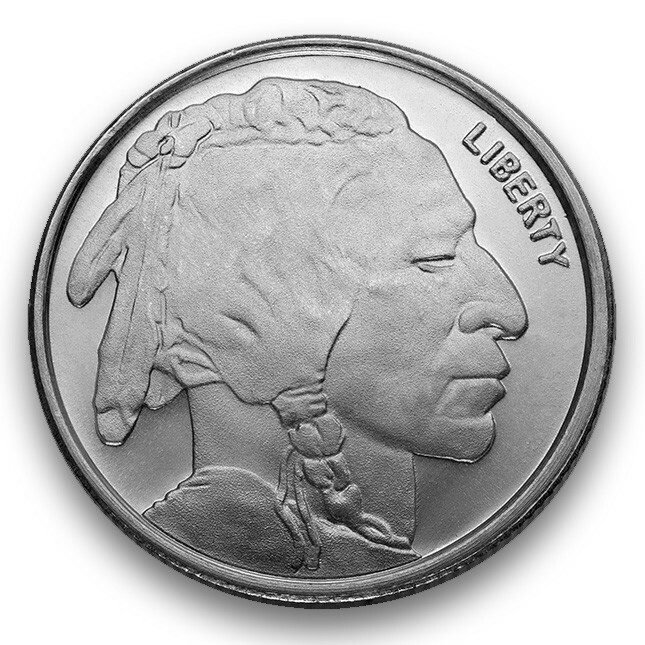 The design of this coin is based off the famous Indian Head Nickel of 1913 originally designed by James Earle Fraser. The obverse design is that of an Native American. James Fraser used three living Indian Chiefs as models for his coin (Big Tree, Iron Tail, and Two Moons). In the top right hand corner the word “LIBERTY” appears. 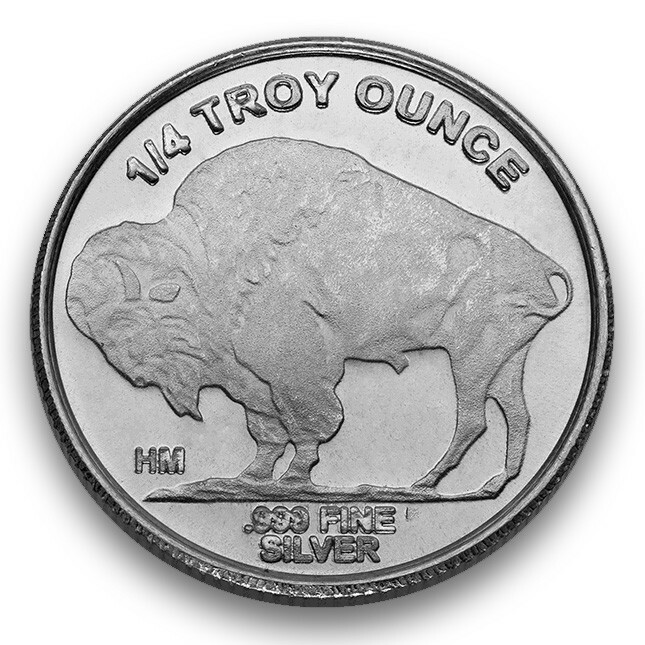 At the top of the round is shown the weight in ounces “¼ TROY OUNCES”. At the bottom is displayed the manufacturer's mark “HM” (for Highland Mint), and “.999 FINE SILVER” the purity & metal content. The Highland Mint was established in the early part of the 1980s. They are based out of Melbourne, Florida. They are known for their pro sports memorabilia cards and coins from pro baseball, football, and other sports leagues. They also produce silver rounds & bullion products.